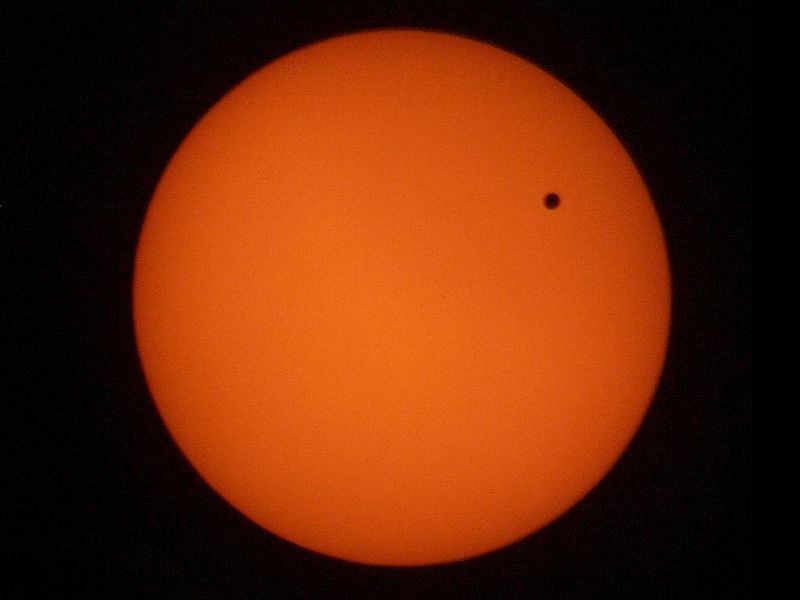 On 6th June there will be a very rare astronomical event: a transit of the planet Venus across the face of the Sun. The last transit of Venus occurred on June 8th in 2004, and the next one visible from the UK will occur on 8th December 2125 (although there is another transit in 2117 which won't be visible from the UK). The 2012 transit of Venus will be in progress by the time the Sun rises in the UK at 4:50am, and will be over by 5:55am. This means that only the very final stages of the transit will be visible from the UK, weather permitting. So what is a transit? Well, roughly every 105 years the orbits of the Earth and Venus align, and some lucky Earthlings are able to see, having taken necessary precautions, the silhouette of the planet Venus moving from one side of the Sun to the other. Be under no illusions, whilst this sounds like an amazing spectacle (and it is), in reality most observers will see a black dot on a orange/white background and wonder what all the fuss is about. But, there is a very good reason for observing the transit of Venus: precise timings of when the transit starts and stops from two different locations on the Earth can give information about how far the Earth is away from the Sun. These days we can use much more accurate methods to determine the distance to the Sun, but in the 18th and 19th Centuries this was the only way of measuring this distance with some accuracy. The National Trust has given permission for representatives of the Peak District National Park Authority's Dark Skies<http://www.peakdistrict.gov.uk/looking-after/darkskies> project to observe the 2012 transit of Venus from the summit of Mam Tor. Several astronomers will be on hand from 4:30am with telescopes and special glasses to allow members of the public, weather permitting, to view the transit of Venus. Please note that this event is not guaranteed as the smallest amount of cloud on the Eastern horizon will prevent the transit from being visible. Also, as the transit occurs at sunrise (i.e. in the dark), members of the public should ensure that they take every precaution to ensure their safety. Please bring along a torch, warm waterproof clothing, and sturdy footwear. DO NOT look directly at the Sun. Looking at the Sun without using special equipment will cause damage to your eyes and may lead to permanent blindness. The transit of Venus can be observed with total safety if any of the following are properly used: undamaged eclipse glasses, number 14 welding goggles or higher, pin hole projection, a Solar telescope. 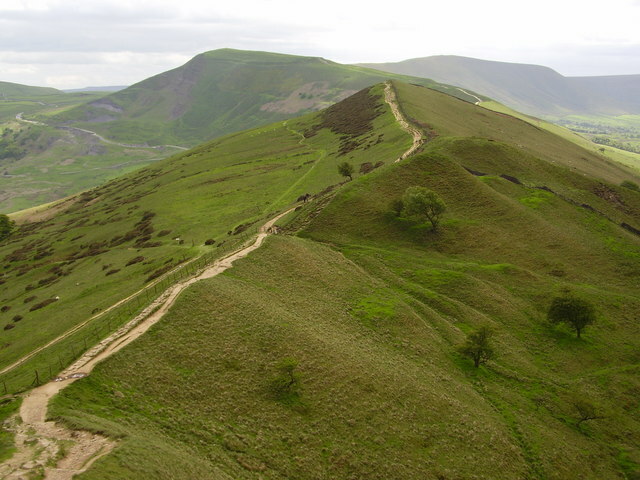 The National Trust and the Peak District National Park Authority accept no responsibility for any damage/injury caused to any person(s) who do not heed this warning.